Featured image courtesy of Dr. Sanders. At a young age, I had a firm grasp on what I wanted to do in my academic career. I have often dreamt about being a journalist, a creative writer and a photographer. However, never once did I consider pursuing my dreams all the way to the academic finish line of a doctorate degree, and now I’m finding out I may be too late. 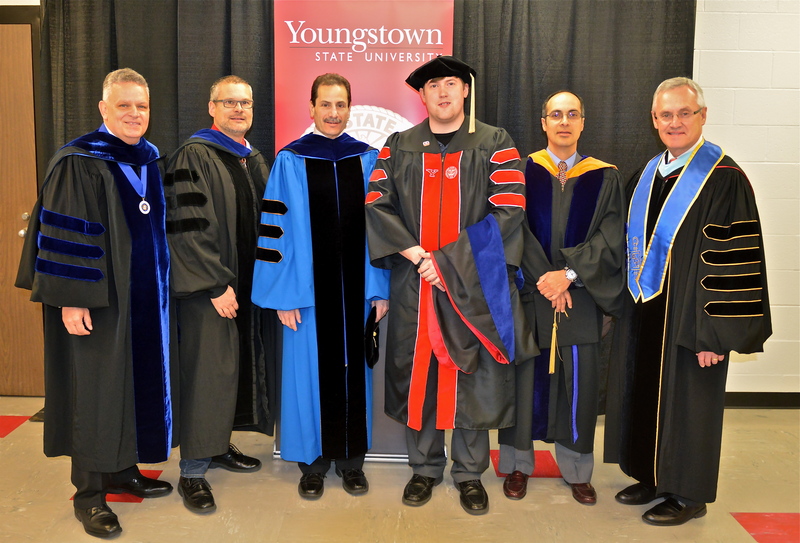 As my college career began and progressed at Youngstown State University, I learned to appreciate scholars with a doctorate degree. Out of respect and interest, I wanted to know more about their journey and how they prepared for graduate study. During the midst of my research, I concluded that considering as well as receiving a doctorate degree is the ultimate test to show how much someone truly cares about what they are studying. If someone lacks the grit, the time, the money and the heart, then maybe they should reconsider. From those I spoke to about the process, there were commonalities among the answers. However, there was one in particular that varied. Dr. Michael Raulin, a clinical psychologist and faculty member at YSU, says if anyone wants to go into doctoral study, talking to an advisor about it during their freshman year of college is something to consider. He says people cannot be competitive for most doctorate programs without having spent most of their undergraduate career doing the right things to become competitive in this field. Although Raulin was the only one who offered this piece of advice, his reasoning behind it opened my eyes and made me take a deeper look. In the state of Ohio, graduate study opportunities for students to choose from are available with the necessary requirements. According to the Ohio Department of Higher Education, to obtain a graduate degree, candidates should anticipate approximately two years of full time study for a master’s, and three to 10 years for a doctorate. The doctorate degree can be obtained in almost every topic. A bachelor’s degree is required to get into a graduate program and many graduate programs require applicants to pass the Graduate Records Examination. The ODHE states graduate school options for students include online, accelerated, weekend and part-time programs. Ohio public universities that offer this to students include YSU, Kent State University and the University of Akron. Not-for-profit institutions in Ohio include John Carroll University and Malone University. Raulin says the primary reason for considering and preparing for a Ph.D. early is that in most fields, there is a relatively small number of doctoral positions open and often a much larger number of people wanting those positions. He says it is hard for students to appreciate that they can be fully qualified and not get accepted into a doctoral program. Women’s and Gender Studies Program Director and Associate Professor in Politics and International Relations at YSU, Dr. Cryshanna A. Jackson Leftwich, says she was fortunate that the people who had helped guide her when she was in college were beneficial to her. They told her if she was planning on going to graduate school, she should not have to pay for it. She says they helped shape her to enable her to get her master’s degree and her Ph.D. for free. Raulin says he was extremely lucky and knew he wanted to go on. He says he knew he needed to do some things in order to dive into the doctoral study world and he did as many of them as he could. However, some students consider getting their doctorate degree at a later time. Starting early may be beneficial, but starting late does not hurt, depending on the mentor and or student. The Dean of the College of Graduate Studies at YSU, Dr. Sal Sanders, says efficiency wise, considering and starting a Ph.D. earlier will definitely be better rather than considering it later. However, he says this does not exclude people who have not started early. He says a lot of people make decisions rather late in their academic career and even their life, including going back and getting a Ph.D.
Jackson Leftwich says starting to consider getting a Ph.D. early wouldn’t hurt. She thinks any career someone decides to pursue early gives them more time to prepare. She says if she would have considered a Ph.D. earlier, she would have done something differently in terms of her writing and where she would have gone for her master’s. 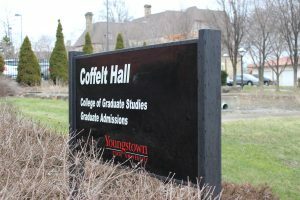 For YSU, the requirements to apply for graduate studies include a bachelor’s degree and at least a 2.7 GPA. The university requires satisfactory preparation for the graduate program in which the student wishes to enroll as specified by the department of the major and a test of written/spoken English. For those degree-seeking students who have below a 2.7 GPA, they must present a satisfactory score on the general test of the GRE, letters of recommendation and other additional requirements. Karen Becker, the director and provost of first-year experience and vice president for academic affairs at YSU, says she did not prepare for her Ph.D., and is not sure if she would do it again. She says the advice she would give to someone who wants to consider getting their doctorate degree is to make sure that it is their passion. Becker says students could not get into a master’s or Ph.D.’s program until they had experience under their belts during her time. She says most of the programs are changing now where they will take students one right after another. In some cases, prior to getting immersed in the doctoral world, students aren’t aware that it exists and have different end goals in their college careers. Jackson Leftwich says she did not consider getting her Ph.D. until after she got her master’s degree. She says her original goal was to be a general manager for a sports team. She says initially, she considered herself more of a non-traditional student. She never considered herself a scholar and never really liked to read. She says she was slower and steadier. Jackson Leftwich says she asked herself what she wants to do, and it dawned on her after she got her master’s degree. She says the people who had helped her the most were professors with their doctorate degrees. The first-year experience at YSU dives into a different take on the world of doctoral study, however. Instead of pushing students to get a doctorate degree, they are required to have a better understanding of what is required to get one. Depending on the career a student is thinking of, Becker says they may get the advice that it is the terminal degree. She was unsure about pursuing a Ph.D. early, however she says students should be aware of what a Ph.D. is and have a good understanding of it. She says students need to understand who has a doctorate degree on campus and what it means to have one as opposed to having a master’s. Becker says if she was told that she had to put something in a first-year experience course about a doctorate degree, it would not mean that students need one or should get one. She says it is more about who are these people. “In a first-year experience course, it may not be so much about preparation for Ph.D., but what does it mean, and how does it apply to me right now at YSU and then how might it apply to me down the line,” Becker says. Becker decided to get her Ph.D. in a unique way. In first grade, she wanted to be a first-grade teacher. In second grade, she wanted to be a second-grade teacher. In junior high school, she wanted to be a junior high school teacher and in high school she wanted to be a high school teacher. Becker says back then, students didn’t have student affairs programs like they do now to train people to be in administrative positions in higher education. She says people just stepped up from their current positions to do those kinds of things since there’s training for it. Raulin says at the time, he worked two jobs to get through college. He says he worked about 35 hours a week along with being involved in an 18-credit hour school schedule when he considered graduate study. He says not only is graduate school highly competitive and hard to get into, but the workload expectations can cause students to fail. In his article, “More Americans have college degrees than ever before,” Reid Wilson states that only about two percent of Americans have a doctoral degree, and around 1.5 percent of Americans have earned a professional degree that requires study beyond a four-year bachelor’s course. Koen Deconinck, author of Trust Me, I’m a Doctor: A Ph.D. Survival Guide, says a student taking on doctoral study needs to remember that he or she is not a robot and therefore needs a break every once in a while. He says a person’s mind is a part of his or her body and needs the proper rest and nutrition. Raulin says he figured out early that he loved studying human behavior and because of this, the idea of devoting large amounts of time to it for the rest of his life, including pursuing a doctoral degree, seemed like a pretty good idea. However, Raulin says any student considering graduate study should spend a lot of time speaking with faculty because it can be very time-consuming and draining. Jackson Leftwich says growing up, her mother always told her and her brother that she wanted them to be doctors. She says her mother never thought there was an option for her to be a doctor that wasn’t medical related, but still fulfilled her dreams. While considering becoming a doctor of philosophy, the concept of starting the journey may be a daunting task, depending on the student and their own experiences. Sanders says getting involved in teaching clinically at hospitals drove him to get his Ph.D. He says at the time he was going to make a career out of teaching, so going back to get a Ph.D. made a lot of sense to him. He says it is never too late to go back and earn an advanced degree, and it does not exclude students from being able to earn a doctorate just because they did not get started their first year in college. Sanders says most of the Ph.D. programs are somewhat competitive because it is very expensive to educate people at that level and the class sizes are often smaller. He says a lot of the competition occurs if a student wants a funded position. He says more specifically, there are only so many fellowships given to material science and engineering Ph.D. students, but there are different options for students to choose from in regards to how they want to go through school. The experiences of students, prior to going for the doctorate degree, may have an influence on them as well to get their Ph.D.
Candan Boodhoo, author of Unfurling the Ph.D. Process, considered getting his Ph.D. when he became interested in researching teachers’ Assessment for Learning. He says as his involvement in this field of study and research progressed, the topic largely contributed to both the policy and the practice of AFL, and was a significant drive to getting his Ph.D.
Boodhoo says that early in his research career, he had an unclear picture of what doctoral study entailed. As he progressed, he came up with four different stages to describe the Ph.D. process: generating the literature review, refining the research questions as a bridge to methodology, making decisions of design and methods and responding to the research context. Boodhoo says the Ph.D. process is not an easy concept and it definitely takes time to master. He says a researcher, even a novice like himself, should not be discouraged, and to self-appraise and self-critique continuously. So, does it matter? The answer solely depends on the student and the path in life they choose. Whether it would be heading straight into the workforce, getting their bachelor’s or master’s, or in this case, striving to get a doctorate, the decision is completely up to them. Preparing for such a degree will most likely not be in my future endeavors, but after taking a deeper look into the graduate study world, this could certainly be motivational not only to me, but to others as well. Deconinck says he would sit at his desk staring at his notes for an hour, which to him, was a total waste of time. He says he wasn’t studying nor was he relaxing, and that relaxing is serious business when in the midst of doctoral study. He says to do something unrelated such as spending time with friends, going for walks and watching movies to be more efficient afterward. He says keeping a good balance between work and play will lessen the guilt and keep students pertained to studies better.